Caffè Italia 1 (livello elementare) libro dello studente con esercizi Caffè Italia is an Italian course for foreign students who want to get to know the Italian language and culture, in order to travel, work, or simply for a passion of the language. 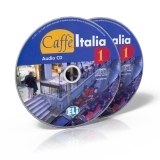 Caffè Italia is a new Italian course with a modern, dynamic and effective approach. Created by an expert group of teachers,...more..
Caffè Italia 1 guida per l'insegnante The Teacher's guide for Caffè Italia 1 provides: -descriptions of the methodological approach -ideas for extra language and culture tasks -tests and photocopiable activities -a section dedicated to pronunciation more..
Caffè Italia 1 - 2 CD audio The CDs for Caffè Italia 1 contain: -dialogues -listening exercises -pronunciation exercises Nazzarena Cozzi, Francesco Federico, Adriana Tancorre Length: approx. 90 mins more..
Caffè Italia 2 (livello intermedio-inferiore) libro dello studente con esercizi Caffè Italia is an Italian course for foreign students who want to get to know the Italian language and culture, in order to travel, work, or simply for a passion of the language. Caffè Italia is a new Italian course with a modern, dynamic and effective approach. Created by an expert...more..
Caffè Italia 2 guida per l'insegnante The Teacher's guide for Caffè Italia 2 provides: -descriptions of the methodological approach -ideas for extra language and culture tasks -tests and photocopiable activities -a section dedicated to pronunciation more..
Caffè Italia 2 - 2CD audio The CDs for Caffè Italia 2 contain: -dialogues -listening exercises -pronunciation exercises Nazzarena Cozzi, Francesco Federico, Adriana Tancorre Length: approx. 90 mins ISBN: 9788853602343more..
Caffè Italia 3 (livello intermedio-superiore) libro dello studente con esercizi Caffè Italia is an Italian course for foreign students who want to get to know the Italian language and culture, in order to travel, work, or simply for a passion of the language. 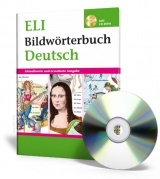 Caffè Italia is a new Italian course with a modern, dynamic and effective approach. Created by an expert...more..
Caffè Italia 3 guida per l'insegnante The Teacher's guide for Caffè Italia 3 provides: -descriptions of the methodological approach -ideas for extra language and culture tasks -tests and photocopiable activities -a section dedicated to pronunciation more..
Caffè Italia 3 - 2CD audio The CDs for Caffè Italia 3 contain: -dialogues -listening exercises -pronunciation exercises Nazzarena Cozzi, Francesco Federico, Adriana Tancorre Length: approx. 90 mins more..